Students were little amazed to start with after hearing the theme and were soon filled with queries and doubts. Professors were expecting this and announced the need of Brainstorming session. The naïve students were not fully aware about the brainstorming session and its effectiveness. So, Prof. Bapat told them few basic rules of brainstorming like there should not be any criticism on any idea however impracticable it may sound to begin with. He also told students that in brainstorming session idea should not be elaborated or detailed because it may lead to blocking the way of new ideas. 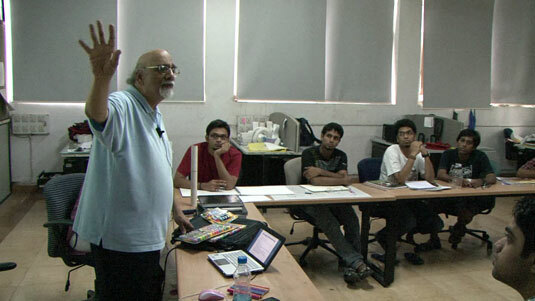 Prof. Bapat became the group leader for brainstorming session. The session was started with a topic – new ideas for sketch pens. The starting topic was kept different than the theme topics to loosen up the students minds. Prof. Bapat kept on encouraging everybody to contribute by pitching in with ever new ideas, at the same time he stopped students who tried to judge other’s ideas. One of the students was asked to volunteer for writing down ideas rising in the discussion. After about 5 to 7 minutes of intense session, Prof. Bapat noticed that the students are getting exhausted with the ideas. 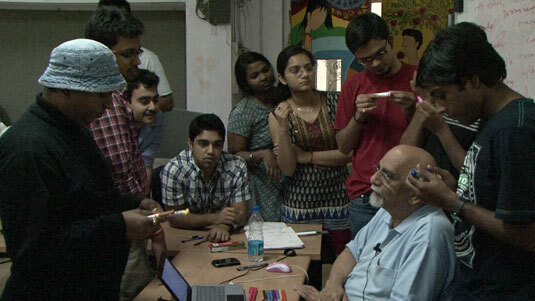 He asked everybody to think about the craziest idea for a sketch-pen; thus drawing in ever more exceptional and unique ideas from students. At the end of the session the board was filled with ideas. Prof. Bapat then told everybody another important thing about the brainstorming session. The ideas generated in the session should not be owned by anybody. One should improvise and mount on the unveiled ideas. 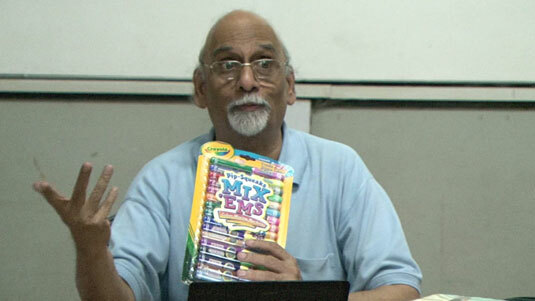 Professor also showed students his own collection of sketch pens which he collected from all over the world. At the end of the session the board was filled with ideas. Prof. Bapat then told everybody another important thing about the brainstorming session. The ideas generated in the session should not be owned by anybody. One should improvise and mount on the unveiled ideas. 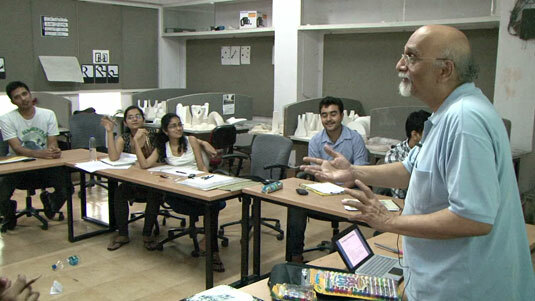 Professor also showed students his own collection of sketch pens which he collected from all over the world. The warm-up brainstorming session served its purpose by helping to throw away the confused look from the student’s faces. 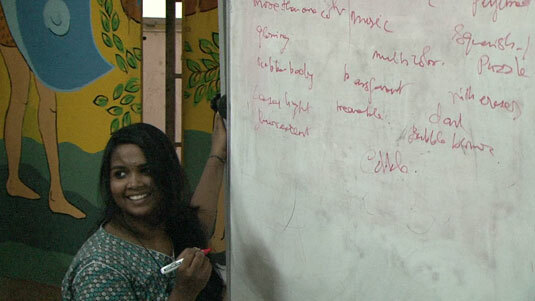 Students were enjoying and smiling with admiration while reviewing the board filled with ideas thrown by them. Prof. Babat decided that it was the right time to start with the actual theme topics. Then he asked students to brainstorm the ways in which water is stored around us. 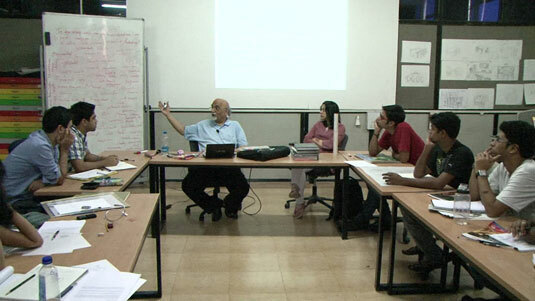 Students were asked to conduct the similar sessions within themselves for the remaining three topics. The results of the brainstorming sessions were left with students. They were asked to review them and decide on a particular topic of their interest from the generated list. They were also asked to start sketching their ideas about their selected topics. 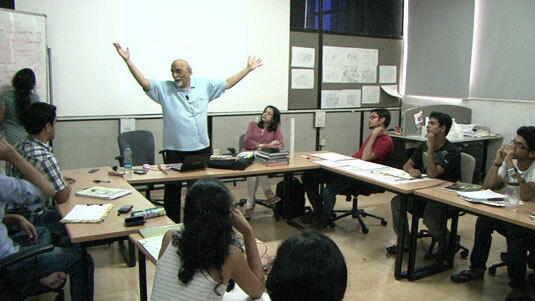 Prof. Bapat insisted that each one should have minimum 15 sketches i.e. 15 ideas by next day. Students were also shown a case study of bicycle design analysis which included functional analysis, aesthetic remarks, synchronic and diachronic analysis. It also explained how such analysis can be useful for taking a new direction in design.